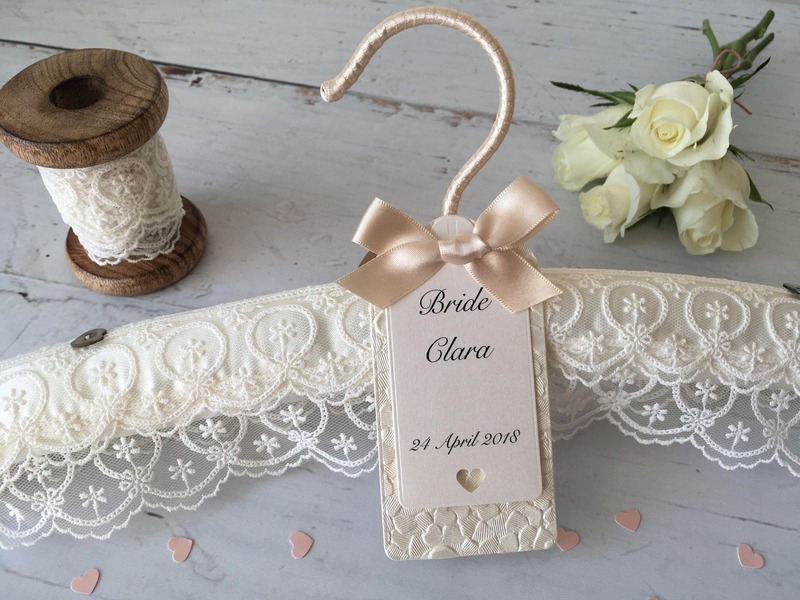 My philosophy is that every dress deserves a beautiful wedding hanger. 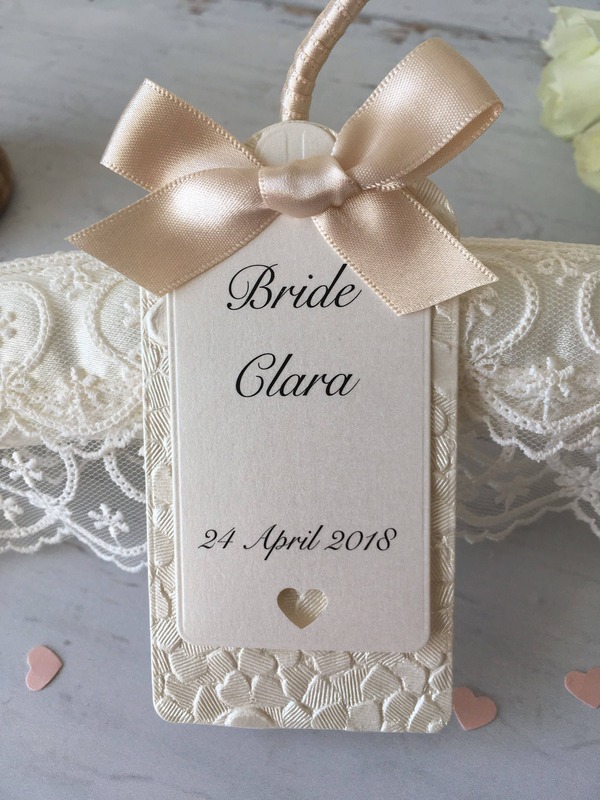 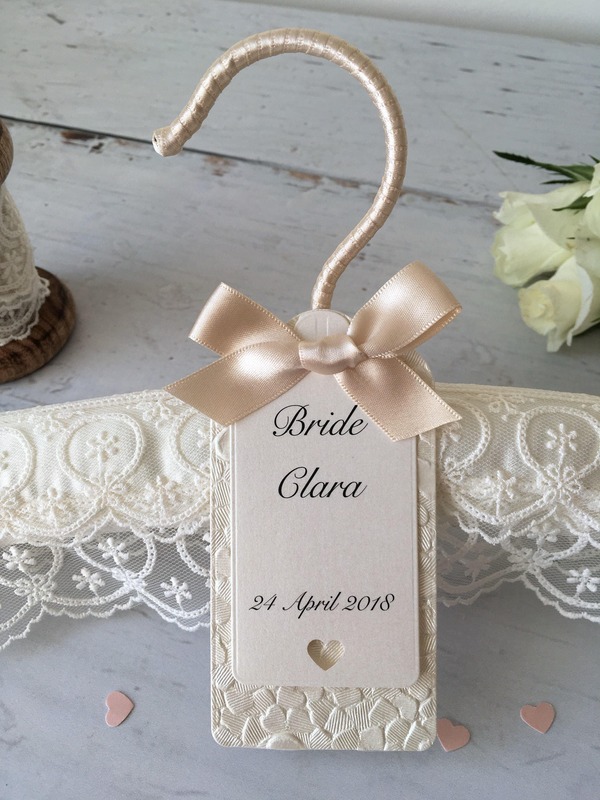 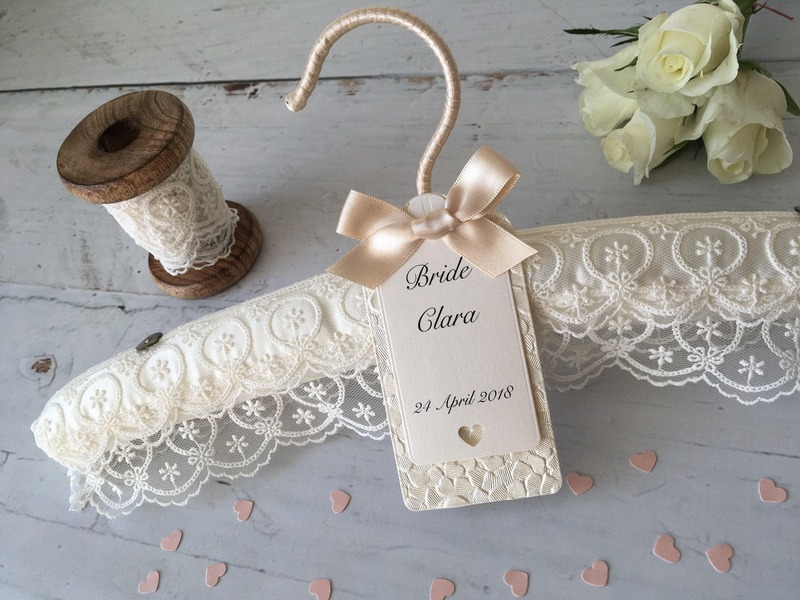 A beautiful hand sewn wedding dress hanger, crafted from tiered ivory embroidered tulle lace and finished off with a luxurious handmade personalised label. 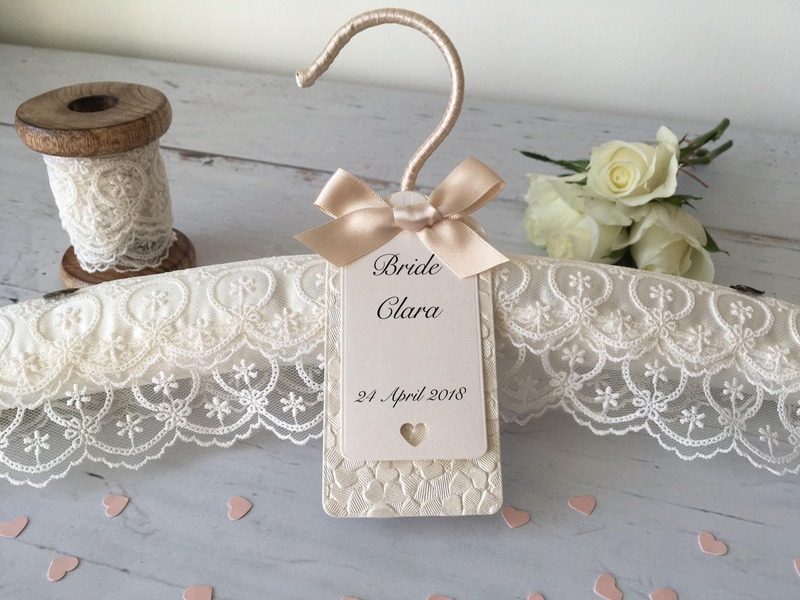 This pretty tiered lace vintage inspired wedding hanger will ensure that classic hanger shot captures your gown in all its glory. 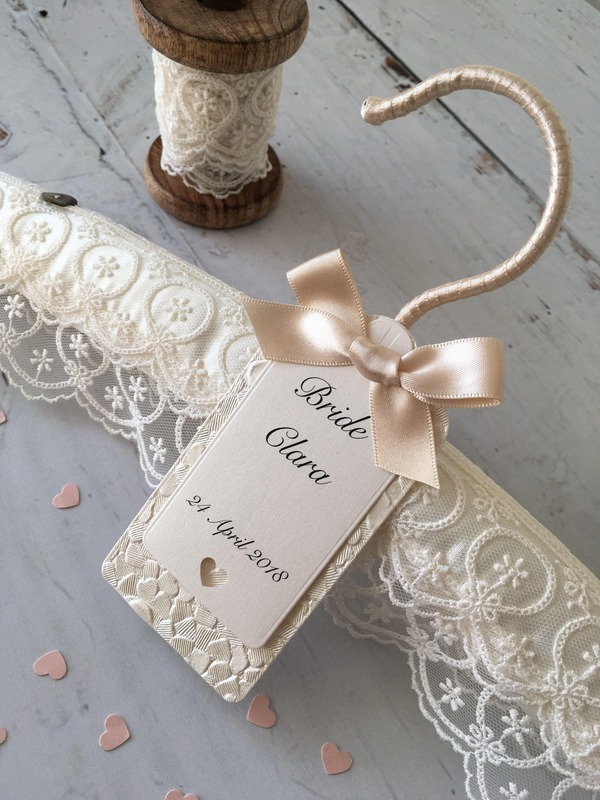 This hanger was absolutely gorgeous.packaged beautifully . 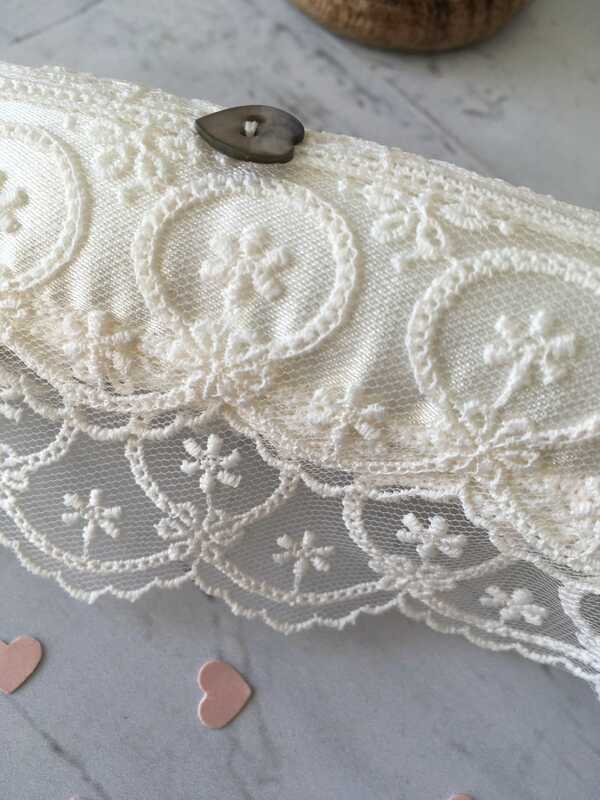 I cannot wait to give to my daughter at her shower..
Beautiful handmade for the Bride to be. 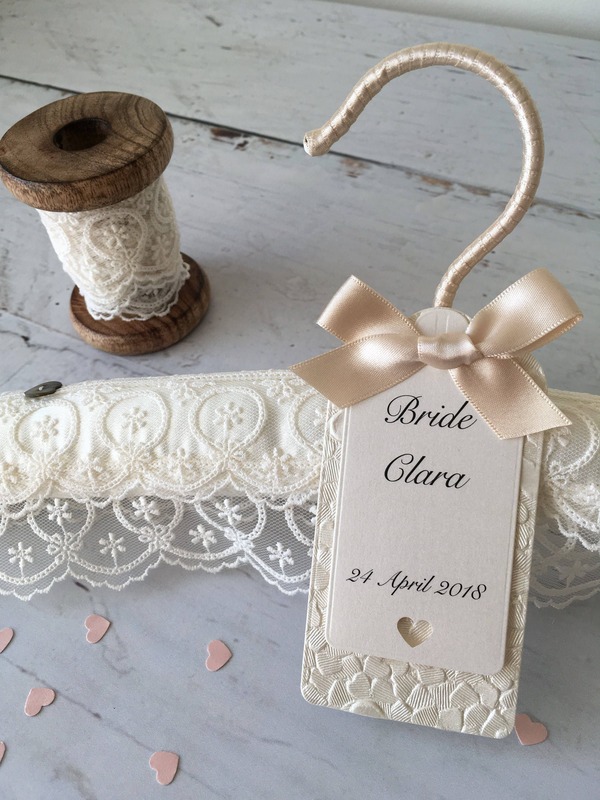 My Future Daughter in law is going to love for her Family Vintage wedding dress passed on from generation to generation.